15 Reasons Why Manchester is so Great. 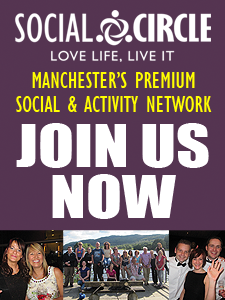 Time Out recently announced that Manchester is the 15th best city in the World. We could not agree more. Manchester is a City that has it all; from fine food to music venues to rock your socks off. We have put a list together of 15 things that make Manchester Great so you can explore all this City has to offer. Manchester’s symbol is the Bee. Originally chosen to represent the industrial heritage of this City, in more recent times it has come to symbolise how everyone seems to swarm together in times of crisis. 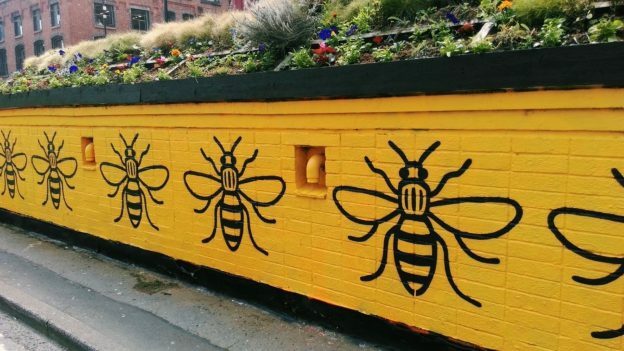 Since the terrorist attack in 2017, Mancunians have started to wear their bees with pride. Everywhere you can see tattoos that raised funds charity, to street art, to arts and crafts found in various street markets. Why not have the honey-infused cocktail ‘Bee-Have’ at Malmaison? Anyone who grew up in Manchester will have got their ID at the ready for a night out at the Ritz. The Social Circle HQ Team remember bubbles, chips and cheese and running around to the Dambusters theme on the bouncy dancefloor. Now it is a venue for top class gigs and evenings out. Our favourite is the Ultimate Power Nights where classic tunes from the 70’s and 80’s make for an evening of air guitar and great memories. Where else can you bring your own spirits and still have a great time? Rated Number 1 on TripAdvisor. Bring & Mix is a unique but popular concept creating Manchester’s Most Unique Cocktails. You Bring your favourite spirits. They Mix them. Let the talented mixologist stimulate your senses by creating cocktails for you and your friends, right at your table. Combining fresh fruit and vegetable juices, home-made syrups, herbs and spices, bitters, sodas, and fruits. You will never find the same cocktails elsewhere. #5 The Home Grown Booze. Seven Bro7hers make their beer at the brewery in Salford near Media City and serve it in their Bar in Ancoats. Rumour has it that they throw open the doors of the brewery once a month and let you have a cheap pint whilst listening to live bands. If Gin is your thing then you can have a tour of Three Rivers Distillery (and bring home a bottle). Probably Manchester’s worst kept secret. To the outsider, the Washhouse looks like an ordinary launderette complete with soap powder and washing machines. But book a special cycle, phone for entry and head through the dryer and you are soon immersed in the ambient atmosphere with an amazing cocktail in hand. Manchester is known for its Comedy Clubs, and one of our favourite places is The Frog & Bucket. Offering a unique blend of the best of new and international stand up comedy. Every week the best comedians on the circuit take to the stage. You can grab a curry and watch rising stars try to beat the frog too. Cloud 23 is more than just a bar, it’s a unique venue located at the highest point in Manchester. Find your silver lining at Cloud 23 with the finest champagnes, signature cocktails, decadent afternoon tea, and panoramic city views. Manchester has become a hub for showcasing and creating the best in TV and theatre. Even Jude Law was spotted wandering around Piccadilly when filming Sherlock Holmes. 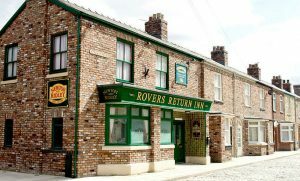 The City Centre boasts several theatres, and Media City is the new home of Coronation Street, The Voice and BBC News. You can even fulfil that dream of becoming an actor, writer or dancer at one of the many evening classes around the City. Nineteenth-century architect Alfred Waterhouse designed this grand hotel, bar and restaurant, and what a job he did. The iconic joint on Oxford Street has long been a landmark and made even more so by new owners and a million-pound face-lift. The bar was put into the capable hands of DJs-turned-restaurateurs Justin Crawford and Luke Cowdrey. Expect similar fare at their award-winning eatery, Volta in Didsbury. Think small plates, cocktails and an inspired wine list. A fairy-light lit courtyard and fabulous DJs in the basement mean there’s no need to go on anywhere else. We will be visiting the Refuge as part of our Epic Easter Pub Crawl – why not join us? The Curry Mile is the nickname for the part of Wilmslow Road thought to be the largest concentration of South Asian restaurants outside the Indian Subcontinent. Within a length of half a mile there are least seventy curryhouses! Whether you visit at the start or the end of a friday night, it is always bustling with activity. Why not join us at Indique when we next head that way? If you haven’t danced on the tables at Schloss, have you even been to Manchester? The bohemian pleasure palace doubles as a bar, bierkeller and entertainment centre – and it gets rowdy. Throw in Alpine cocktails, homemade Schnapps and hearty bar meals (plus regular showcases from the Haus band) and you’ve got one of the best (and busiest) bars in town. We love the Sunday Service where a fantastic Sunday lunch is served with a side order of Soul Music. Whether you support Manchester City or United, Manchester is home to two premier league teams so do catch a match during the football season. Both teams support the local communities, giving opportunities to young people in Manchester. Even in the height of summer, you can visit the football museum. Remember, football is not just for the professionals. 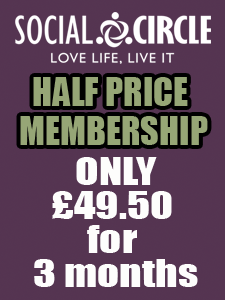 You can join us in Didsbury for a game and get fit in the meantime. From the first computer to the discovery of Graphene, the Manchester Museum of Science and Industry has a number of fantastic exhibitions where you can learn more about the rise and rise of Manchester’s industrial heritage. Don’t miss the statue of Emmeline Pankhurst in St Peters Square, the People’s history museum, or the gothic architecture of John Rylands Library or the Town Hall. Come join a walking tour and learn more about this amazing City. What is the one thing that everyone says about Manchester? The people are so friendly! We will treat you like family before we even know your name. 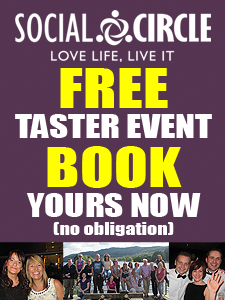 So if you are new to the City, and want to meet like-minded people then why not come to a free event in one of the best Cities in the World . This entry was posted in Uncategorised on 19th March 2019 by Heather-Anne Bailey.